Whole Frozen Lobster - Ready Seafood Co.
Ready Seafood and our subsidiary Maine Seafood Ventures offer a wide variety of whole frozen lobster. We provide our customers with raw or blanched frozen lobster ranging in size from 1 lb. to 6+ lbs. We offer a wide variety of packaging options, including our 10 lb. wholesale box and our new retail twin pack. 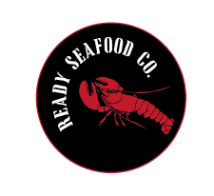 Ready Seafood has the unique ability to service retail, wholesale, and food service companies worldwide.